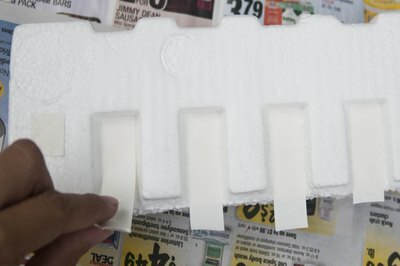 Styrofoam is notoriously difficult to paint if the wrong type of paint is used or the foam isn't coated with a primer first. Some types of paints and spray-paints may chip quickly off after drying or damage the foam. 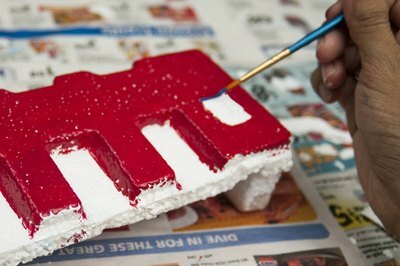 Acrylic craft paints adhere to Styrofoam without problem, though applying a primer beforehand provides an even smoother coat. 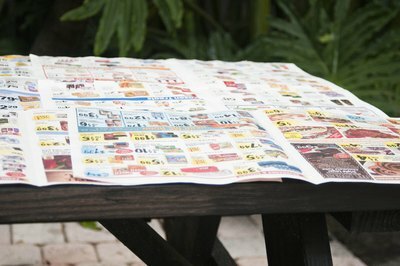 Cover the work surface in newspaper. Set the Styrofoam atop the newspaper. 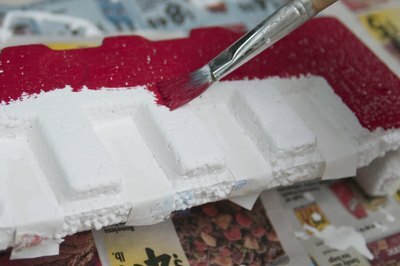 Cover any areas of the foam that you do not wish to paint, such as the sides on a flat block, with painter's tape. Squirt or pour some acrylic or latex primer onto a disposable plate. 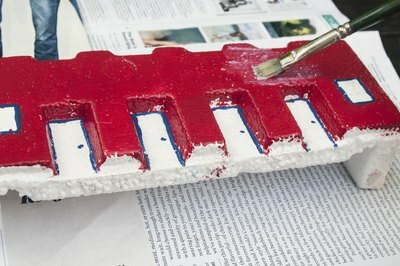 Prime the Styrofoam by applying a smooth coat with a paintbrush. Allow the primer to dry completely. 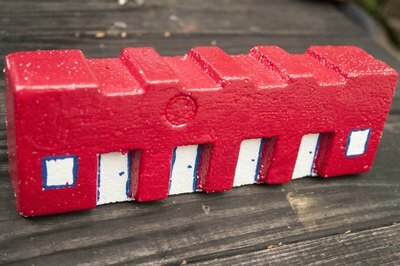 Apply a second coat if the foam is still visible through the primer, and then allow that coat to dry as well. Squirt a bit of acrylic paint into a disposable plate. 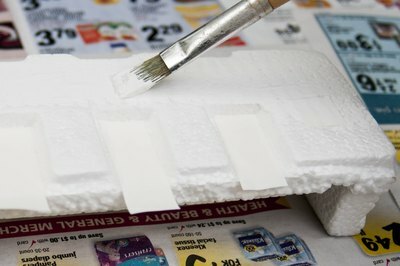 Paint the Styrofoam with a paintbrush using smooth, even strokes. After the first coat dries, apply a second if the primer is still visible through the paint, allowing it to dry completely between coats. Paint additional details on the foam, if desired, using artist's brushes and a second color of acrylic paint. Seal the project by applying a coat of a polyurethane sealer or decoupage medium with a foam brush to help protect the paint.